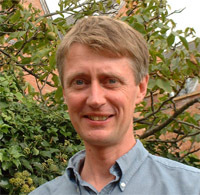 Jon Knight is Head of Research at the Horticultural Development Company (HDC) in Warwickshire. The above photo is taken from the Association of Applied Biologists, of which Jon is the Hon. Treasurer. 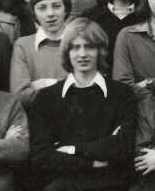 Whilst this photo is taken from the College Photograph of 1977. 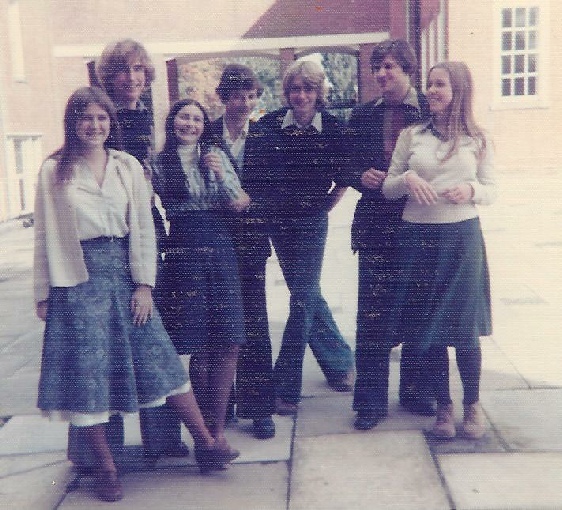 Whilst Jon may be seen here in a group photo taken by Susie McBride (Pringle) in 1978. Other familiar faces are (from left to right): Gillian Fox, Ian Richards (who subsequently married to become Dr and Dr Richards, now GPs based in Devon), Amanda Skeggs, Mike Mehta, Jon, Geoff Whiting and Katie Long. 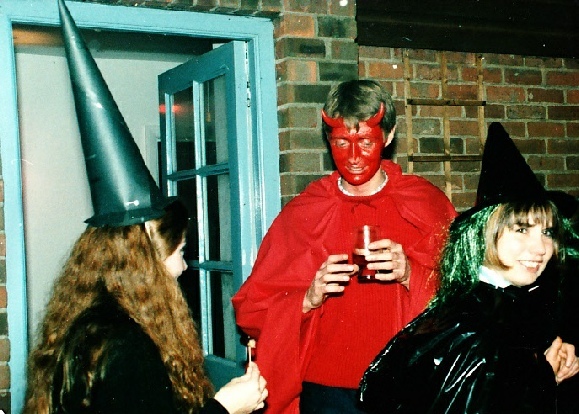 Jon was also captured for posterity at Arnie’s Fireworks Party in Chichester, 1987.